The week in numbers: from 800 to 1 in five short stories, here’s a quick look-back at some of the news – in numbers – from the last seven days. 800 – the number of pupils from across Scotland who entered Poppy Scotland’s learning competition ‘Poppy Places and Spaces’ which was won by the P 4 – 7 pupils of Bun-sgoil Stafainn. 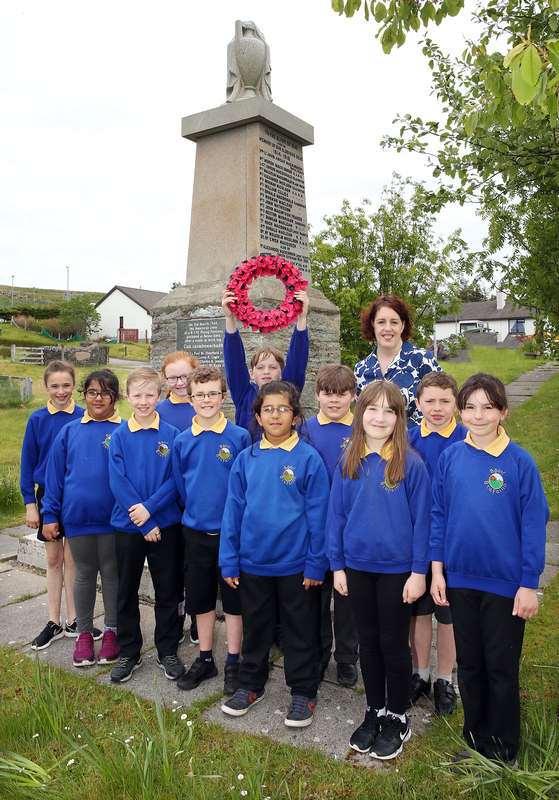 Bun-sgoil Stafainn pupils are pictured at the Staffin War Memorial following their success in the prestigious ‘Poppy Places and Spaces’ competition. Photo credit: Willie Urquhart. 227 – miles clocked up by Skye businessman Mark Carter, who cycled from Banff to Broadford last weekend to raise funds for LUPUS UK and awareness of the disease. Mark’s daughter Amy was diagnosed with lupus eight years ago, aged 14, and his efforts have so far raised over £2,000 for the charity. 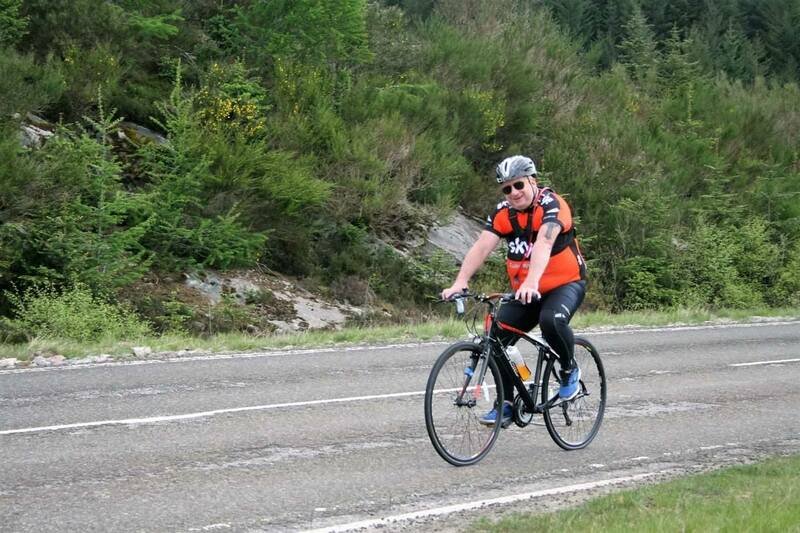 Mark completed a 227-mile coast to coast cycle last Sunday (May 20th) in aid of the LUPUS UK charity. 30 – goals scored across the two GF MacRae Cup semi-final ties. 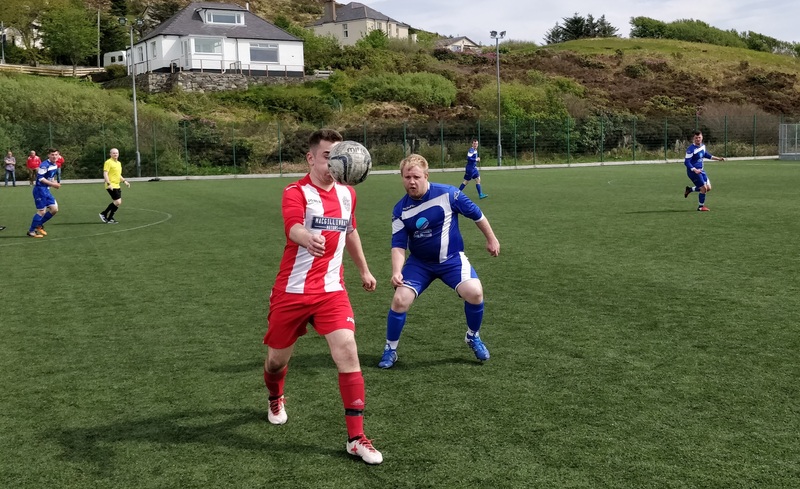 Kyleakin overcame Glenelg 9-3 in a goal-fest on Tuesday, while Saturday’s match between Mallaig and Sleat and Strath served up an incredible 18 goals, as Mallaig ran out 10-8 winners after extra-time. 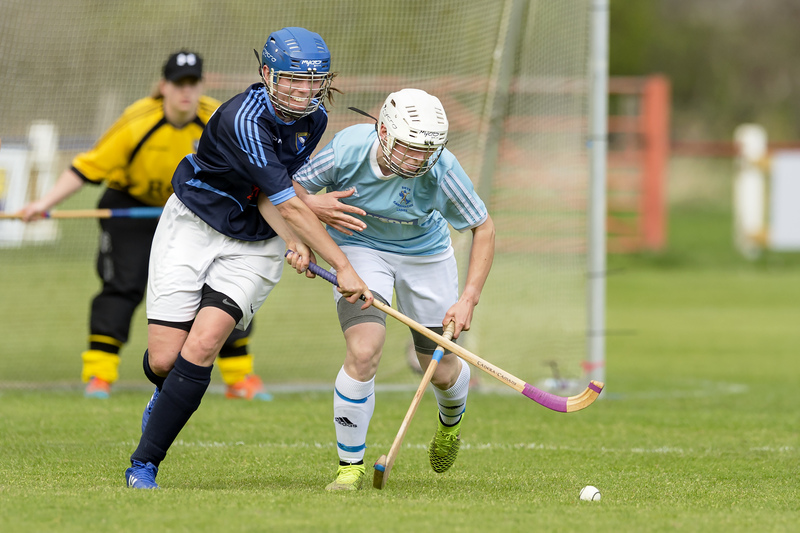 5 – consecutive league wins recorded by Skye Camanachd Ladies in the Marine Harvest National Division. The reigning champions saw off the challenge of their nearest rivals Badenoch and Strathspey Ladies with a 3-1 win to maintain their 100 per cent league record. 1 – the ranking of the Plockton Hotel in the Northwest Scotland regional field of the National Pub and Bar Awards 2018, which was held on Thursday night. 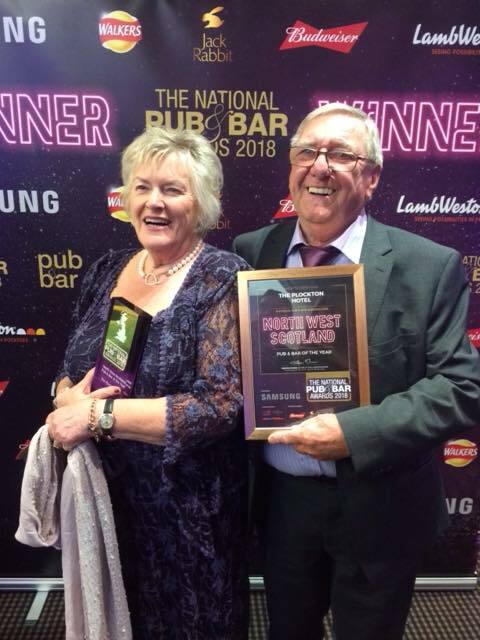 Dorothy and Tom Pearson from the Plockton Hotel with their award for Northwest Scotland’s National Pub and Bar of the Year 2018.